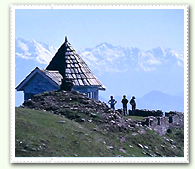 Naldehra (2044m) is a heaven for tourists located at distance of 22 km away from Shimla. 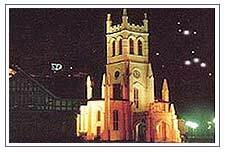 It boasts of the oldest 9 hole golf course in the country. The well groomed Golf Course is lovely verdant, perhaps one of the finest and most sporty in India Crowned with a spinging turf the Golf Course here was suggested by Lord Curzzon he was so enchanted by the place that he gave his daughter Alexendra Naldehra as her second name. It is the venue of many compitetions. 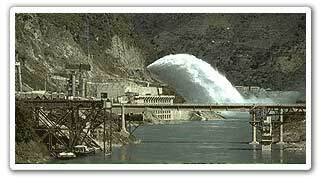 It is a spot of great natural beauty. 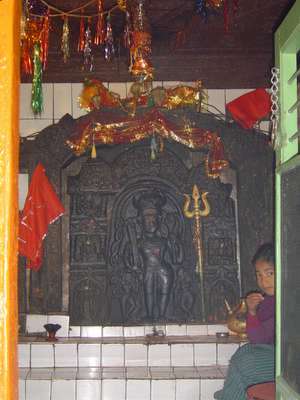 The Nag temple is also situated here and Naldehra means DERA of an 'abode of God Nal'. The closest airport is at Jubbarhatti, 45 km away. The nearest narrow guage railhead is at Shimla 23 km away. 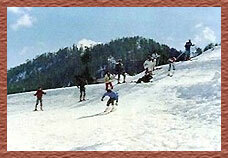 By road Chandigarh is 139 km, Manali is 282 km and Delhi is at a distance of 392 km. In winter the temperature can drop to below freezing point when eavy woolens are required and in summers light woolens/ cottons are recommended. 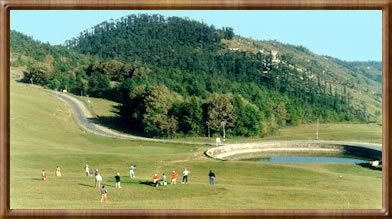 Tall deodars flank the links making Naldehra a wonderful sports venue in the midst of natural beauty. At the turn of the century, Naldehra was "discovered" by the British Viceroy, Lord Curzon who was fascinated by the deodar forests and green-carpeted slopes. 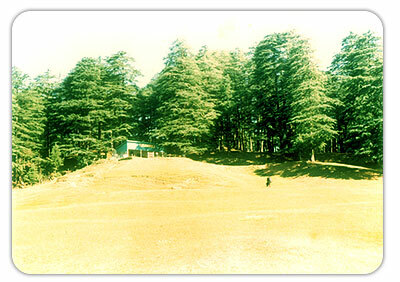 Curzon spent many a happy hour romancing Naldehra’s cedar woods, communicating all the while with the British summer capital at Shimla, 23 km away. The idea of laying a golf course on the slopes of an enormous glade took root. The natural topography of the area was just right for a nine-hole golf course, surrounded by deodar woods and a view of the mountains.